Other than our cross-city dirty cousins, Genoa may be the next closest thing Milan have to family in Serie A. Okay, they’re more like a Milan feeder club. Or maybe that friend that always lets you borrow money. But however you classify them, on Saturday they are our enemy. 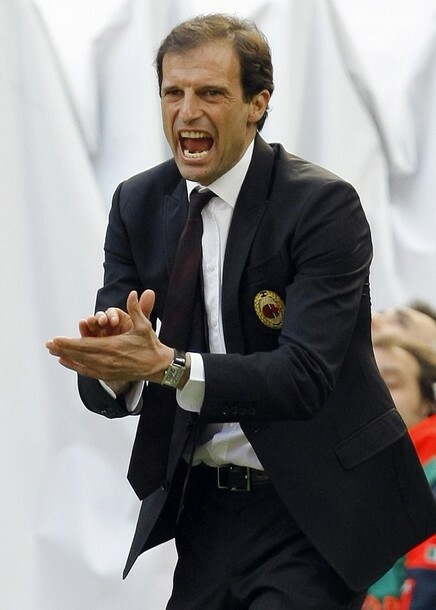 We must win every match to have hope of the Scudetto now. And with relegation a real possibility for them, winning is their only option, too. Last time we faced them, Malesani was in charge. Since then, he was fired (just 3 days before Christmas,) and then more recently rehired, it seems the club’s descent into relegation territory was slower with him. Plus, it’s a good story, like There and Back Again: A Manager’s Tale. Anyway, with this being only his third match back with the club, the boys will still be extra motivated to win. It seems Galliani knows how to deal with family and friends. He recently wrapped up the deal to purchase the other 50% of El Shaarawy’s contract from Genoa, even if the deal likely involves giving them Merkel back on a permanent basis. And according to rumor, he’s set up a deal to acquire Chievo’s CB Acerbi with the help of Genoa, too. Gotta wrap up the money deals before one of us goes away without 3 points. So with the business side of things all worked out, now it will be up to our boys on the pitch to figure out how the points go. When we went to Genoa, there was a bit of a fan problem, and the police fired tear gas outside that actually infiltrated the stadium and caused a bit of a delay in the match. But with a 2-0 victory, we took all three points. With that grudge in mind and the fear of relegation, it’s likely to cause a feud of family proportions, and either team could be the victor. Let's pray he doesn't find his form against us, like poetic injustice. 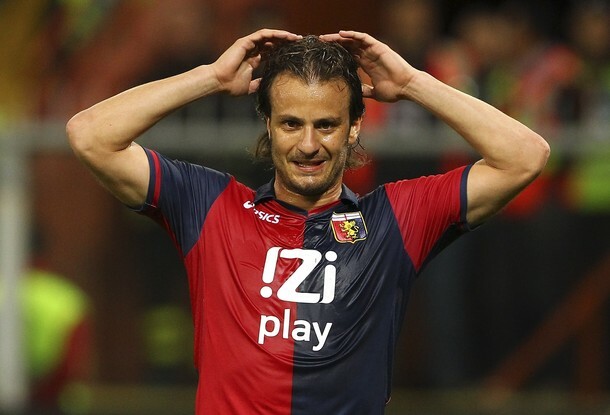 Under Malesani’s second tenure this season, Genoa have managed only back to back draws against 19th placed Novara and 20th placed Cesena. Ouch. But Malesani will be working with them until Saturday to overcome this streak and pull off the upset. And he’s just crazy enough to do it, too. Against Cesena yesterday, he lined up Sebastien Frey; Kaladze, Granqvist, Moretti, Mesto; Veloso, Biondini, Maro Rossi; Palacio, Gilardino, and Sculli. And yes, if you recognize a couple of Milan “family” names, that is our former Gilardino and Kaladze family players lining up against us. Likewise, Merkel, who trained with the team yesterday and should be available, will be very familiar to them, having played the first half of the season with them and likely to be heading back home to them in June like the prodigal son. Also former Genoa player Marco Amelia, and honorary Genoa players who came to Milan by way of Genoa, Kevin Prince Boateng and Stephen El Shaarawy. In addition to Merkel, van Bommel, Flamini, and Mexes all trained yesterday and should be available to answer Allegri’s call on Saturday. Which is good, because I still haven’t heard whether or not Abbiati and Yepes will be available after concerns at Chievo. I did hear that Ambrosini was indeed injured during Fiorentina and will be out another 10 days. Kind of him to wait almost until van Bommel was available. So… taking a more wild stab than usual at Allegri’s lineup without the advantage of any doctor’s notes… Abbiati/Amelia; Abate/De Sciglio/Bonera, Mexes, Nesta, Zambrotta/Mesbah/whomever is still walking; Aquilani, van Bommel, Nocerino; Urby; Robinho, Ibra. If it were up to me, I might choose differently, but it’s not, so there’s my best mindreading attempt. Allegri should have a few more players at his disposal considering the lack of suspensions this time around and more players coming back (hopefully) than landing on the training table. 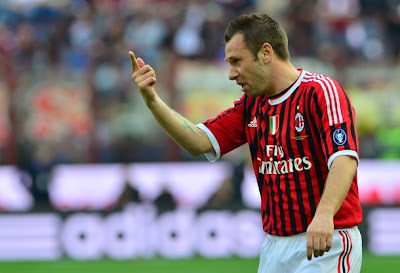 And hopefully Gattuso and Cassano will get some precious minutes for their fitness and for our sakes, too. Just like at family gatherings. But it’s crunch time. 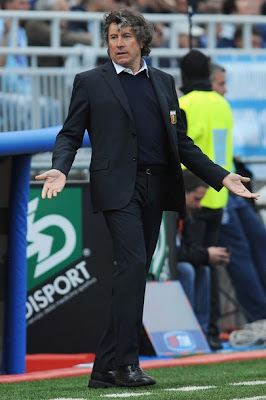 We want a Scudetto, Genoa want to stay in Serie A. Who wants it more? It’ll be like that last slice of cake at the family dinner table. Everyone wants it, but only one person gets it. And while it would be a shame to see Genoa be relegated, maybe even affecting our future loan and transfer deals, Milan are not in the business of showing mercy to anyone, family included. There is a trophy on the line. We’ve bowed out of the running for two trophies already this season, and we’ll do whatever it takes to take the one left standing for us. Three points, apologize later. They have to forgive us, right? They’re like family.